Don’t roll it! Bowl it! 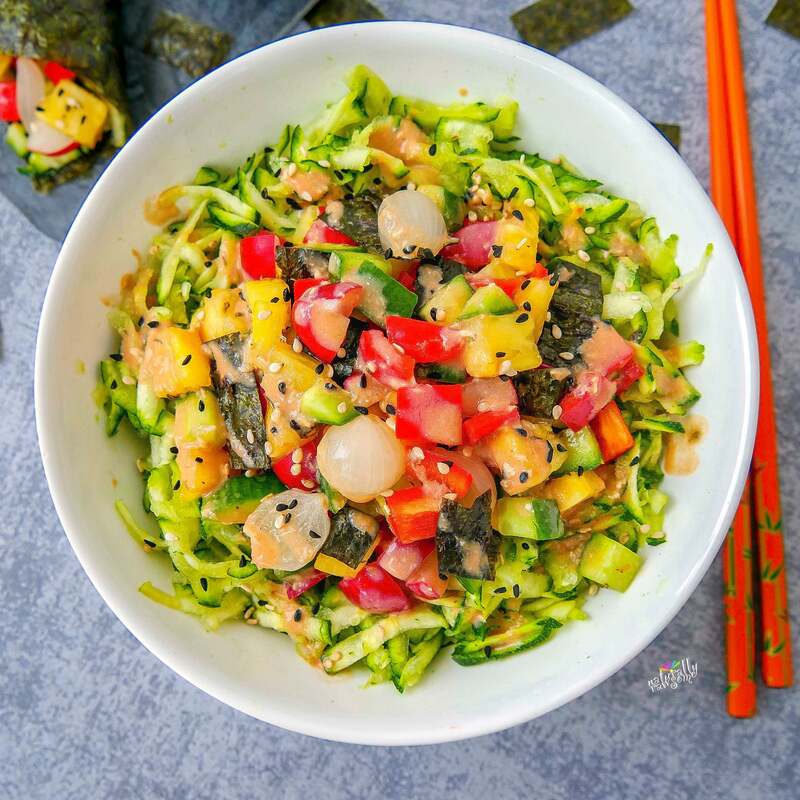 Sushi bowls are like veggie sushi rolls, but in a simplified form! 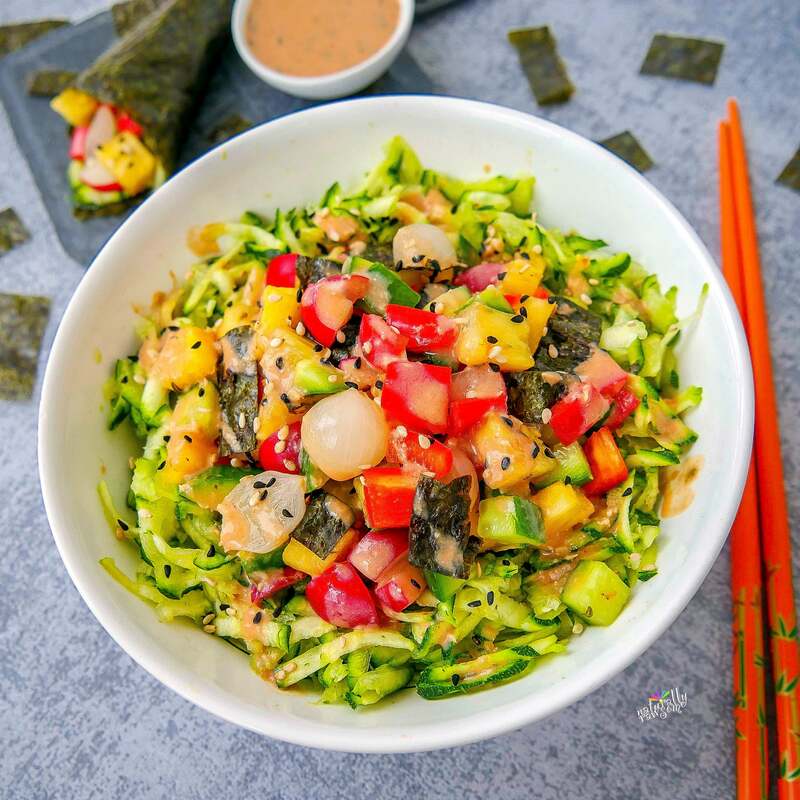 This sushi bowl recipe is super easy to make, always safe to eat, and crazy delicious! Grate the zucchini into a bowl or on a plate. Mix up the chopped ingredients (pineapple, radishes, pepper, cucumber, onions). Cut the nori sheet into little stripes/squares and toss them in. Stir the tomato paste and horseradish into the yogurt. Now place the chopped mix onto the grated zucchini and drizzle it with the horseradish sauce. Sprinkle some black and white sesame seeds on top and enjoy.